The product of a 2015 CMS rule, Chronic Care Management enables physicians to capture $42 per Medicare patient, per month, for providing at least 20 minutes of non-face-to-face care management such as coordinating care with other providers. In many cases, CCM enables physicians to be paid for services they’re currently providing for free. The capabilities required to provide the full CCM scope of service can also improve performance in the Merit-based Incentive Payment System (MIPS). 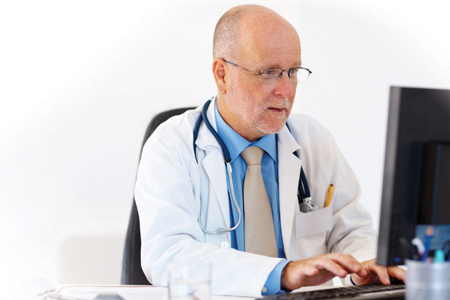 Providing CCM services requires both IT infrastructure and clinical resources. Clinics need to decide whether their EHR has the features required to support an ongoing, effective, and profitable CCM program. In addition, they must also decide whether to insource or outsource the staffing necessary to provide the service. These two decisions go hand in hand as organizations determine the best strategy for deploying a successful CCM program. Establishing a CCM program that has a positive impact on both clinical and financial outcomes will be impossible if you can’t attract patients into the program at significant rates, retain them over the long-term, provide them with high quality care, and operate the program cost effectively. Guided Dialogue: In order to provide consistent, quality care that is of high value to patients, the software should enable a guided dialogue within the staff’s workflow that prompts the right questions of patients, tracks their symptoms, and manages to the provider’s standing orders. Targeted Quality Measures: CCM interactions with patients can be leveraged to impact the quality measures used to determine reimbursement under both tracks of MACRA – MIPS and Advanced Alternative Payment Models (APMs). In order to do that, the CCM care coordinators need to be able to target the right patients with the right strategy for each quality measure. Operational Efficiency: Optimizing profitability will hinge on efficient time management for the care coordinators. Capabilities that simplify workflow and keep them on the phone are critical, such as the ability to manage and prioritize tasks, review CCM history at a glance, and sort/search patients by “month to date” time, keyword, condition, and scheduled follow up. The ability to electronically share care plans and summaries between providers on disparate EMRs is also very beneficial. Audit Trail: Automated time tracking and auditable documentation can help clinicians easily track CCM’s minimum 20 minutes per month for audit and reporting purposes. Faced with these technology requirements and the overwhelming prospect of consistently calling every enrolled patient every month, most organizations eventually realize that their EHR inhibits their ability to scale, and in many cases actually creates an audit risk. Further, many find that running a CCM call center and providing consistent, high quality patient service requires much more than technology — it requires great people, strong training and oversite, and the “know how” to provide high quality care remotely. In the end, many that originally insource the program with their EMR decide to outsource their CCM program. Insource Or Outsource: Which Is Right? Outsourcing isn’t the right option for every organization. Whether to build and maintain the capacity internally or contract with a CCM vendor to administer the program will depend on a variety of factors including staff size, skill level, excess capacity, contact center availability and sophistication, and physician preference. While healthcare organizations may see insourcing as a less costly alternative, it’s important to evaluate the true cost of consistently providing a high value service. That includes recruiting the right people with the right experience, training them, providing the equipment and tools needed to efficiently and effectively deliver the service, management and clinical oversite, and thorough documentation. When it comes to smaller clinics, staff may already be at or near capacity. Staff who are used to face-to-face clinical interactions and workflow would also likely have to be trained about the specific questions to ask and discussion points to have a meaningful dialog with patients and elicit important information over the phone during monthly CCM calls. Larger physician groups and health systems may have more bandwidth to devote to CCM activities, but larger groups also have many more eligible patients to manage. The most effective way to profitably administer large CCM programs is by building a specially-trained care management call center. However, call center management is not a core competency of health systems, which are in the business of face-to-face encounters. Clinics can be highly successful with CCM whether they insource or outsource, as long as they start by prioritizing onboarding and sustainability. Insourcing approaches to CCM work best when there is top-down support from clinicians, everyone embraces the goals of CCM and is fully engaged in making it successful, and there is dedicated staff to provide the service. One clinic in Florida launched its CCM program in early 2015 with all these elements in place, providing a very good example of an insourcing approach that works. With buy-in and commitment from all relevant stakeholders, patient enrollment grew quickly to several hundred patients. In addition to devoting sufficient staff resources, the clinic significantly updated its workflows to develop discipline and consistency around documenting time for activities that previously were not billable, including vaccine reviews, medication reconciliation, addressing patient concerns, sharing records with consulting practices, and care plan updates. The clinic also prioritized efficiency, aiming to complete the monthly 20 minutes of time in a single call. In addition, they instituted a month end process to complete the calls. Thanks to the clinic’s high level of commitment and structured approach, it consistently bills three quarters of its enrolled patients each month, and has maintained strong patient retention for well over two years. In contrast, a large group practice that chose to insource CCM immediately enrolled several hundred patients thanks to strong provider commitment and staff engagement. Unfortunately, the program was not sustainable because the staff didn’t have the bandwidth to execute the monthly calls. Patients didn’t receive the service for weeks after enrolling, and those that did receive the service received it sporadically. Their robust enrollment effort ended in a lot of attrition when patients didn’t receive consistent, high value service. Additionally, uneven and inconsistent documentation within the group’s EHR created unnecessary audit risk around the CCM program. Unfortunately, the majority of patients that unenrolled initially have not rejoined the program. Outsourcing is a good option for clinics with little excess bandwidth, limited experience providing telephonic care management services, and a desire to enroll and retain more than 25 patients in the program. When selecting your CCM partner, remember that the sustainability of the program will depend in large part on the quality of the staff and whether they are using evidence-based methods in their dialogue with patients. These considerations, and not price alone, should drive the CCM vendor selection process. In addition, the right partner should provide resources, tools, and assistance to take as much of the burden of enrollment off the practice as possible. However, be wary of one that says they will do all the work for you. That’s just not realistic, nor is it desirable for your staff to be disconnected from such a critical program. One clinic in California that decided to do CCM last year recognized they would not have sufficient resources in-house and decided to contract with an outside vendor. Their enrollment process was well thought out and effective, but the clinic realized several months into the program that their vendor —which they had chosen based on price — did not provide enough value to patients to keep them engaged. As a result, patient attrition within the CCM program was close to 50 percent. Meanwhile, a clinic in North Carolina that decided to outsource their program ultimately eschewed the low-cost bid in favor of a high-quality service delivery partner. The clinic was highly successful at enrolling patients by achieving widespread buy-in from clinicians, strong staff engagement, and using a standardized enrollment process. The service partner’s expertise in evidence-based approaches to chronic care management and core competency in contact center operations has helped them maintain strong patient retention, consistently billing nearly three quarters of their patients every month. Regardless of whether you choose to insource or outsource, an effective CCM program starts and ends with an emphasis on enrollment up front and patient value over the long term. Without a critical mass of patients in the program, it’s hard to make much of a clinical or financial impact. Likewise, patients need to understand what’s in it for them — the value of CCM and how it’s different from what they receive today — or they’re likely to un-enroll from the program within the first three months. When evaluating options for implementing CCM, the number one consideration should be patient value. If patients don’t perceive that CCM is helping them, retention will quickly become an issue. And once patients leave the program, the probability of them re-engaging is small. Siu Tong, PhD, is CEO of Smartlink Health, an innovator in patient-physician communication for chronic care patients.